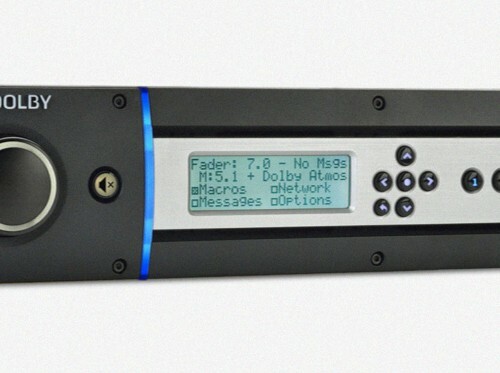 Model : Dolby CP 850 ATMOS | Prahin-Inc d.o.o. Dolby Atmos is quickly becoming the de facto standard for next-generation sound in the cinema, as major studio directors, sound teams, and exhibitors adopt the solution. Because Dolby Atmos delivers an audio experience beyond anything available to date, addressing the limitations to creating truly immersing and lifelike audio that were inherent in earlier audio platforms, professionals from all disciplines within the cinema industry are embracing this technology. Dolby Atmos introduces new features and tools to improve the mix, distribution, and playback of movies. Dolby Atmos adds the flexibility and power of dynamic audio objects, and the ability torender sounds above the listeners. 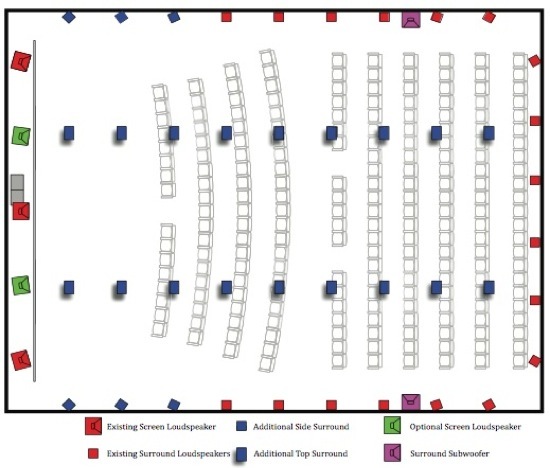 As a result,movie-makers can place discrete sound elements within the soundscape, irrespective of specific playback loudspeaker configura-tions. Dolby Atmos also introduces new efficiencies to the postproduction process, allowing sound mixers to efficiently capture their creative intent and then, in realtime, automatically generate and monitor Dolby Surround 7.1 and 5.1 ver-sions. 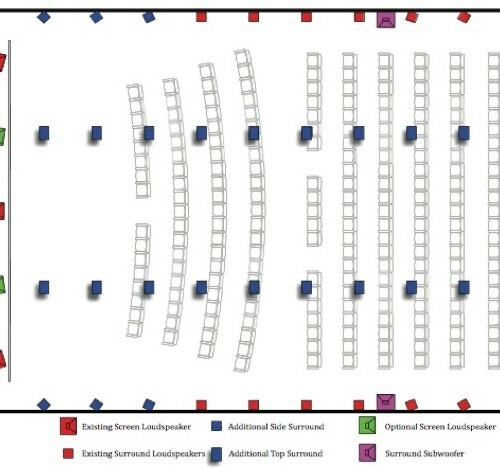 Dolby Atmos simplifies distribution—the audio essenceand artistic intent is all contained in a track file within the Digital Cinema Package (DCP), which can be faithfully played back in a broad range of theatre configurations.Content creators welcome the new power they have to tell their stories with Dolby Atmos. Studios appreciate the simplified distribution. Exhibitors are able to offer audiences a new,compelling,only-in-a-theatre experience. The audience can now enjoy a completely new listening experience with enveloping sound that brings the stories on screen more fully to life.